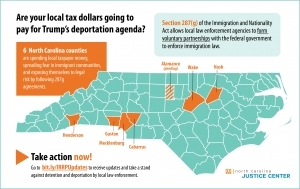 North Carolina taxpayers are bearing the cost of federal immigration enforcement by local governments. 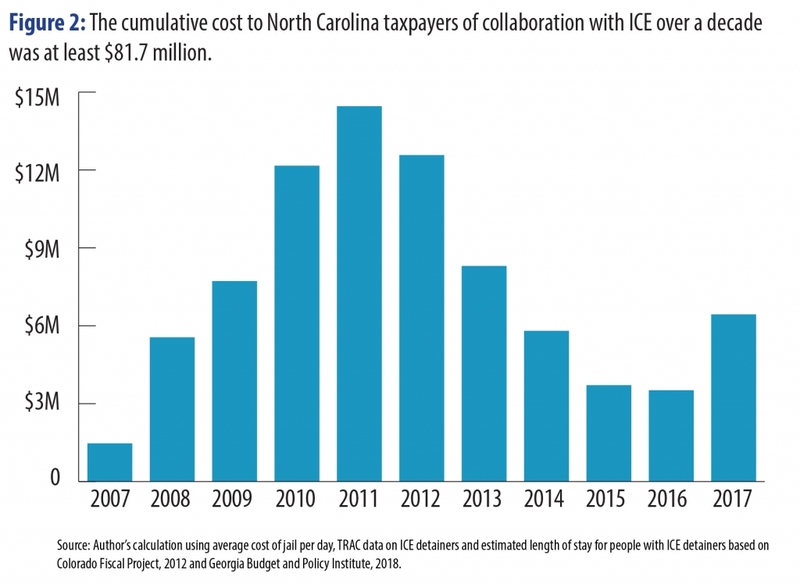 A recent report estimates the statewide financial cost of honoring immigration detainers and holding immigrants in local jails is $7.4 million annually, resulting in a cumulative cost of roughly $80 million over the past decade. 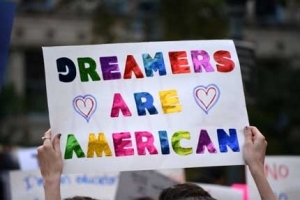 These direct financial costs would continue and could increase as a result of House bill 370, which would require local law enforcement to collaborate with Immigration and Customs Enforcement (ICE) or face financial penalties of up to $25,5000 a day. The bill does not provide for any financial resources to cover the costs that local governments would incur, meaning that dollars would have to be taken from elsewhere or taxes would need to be raised. ICE does not compensate local agencies for the additional costs associated in cooperating with immigration agents. This leaves local jurisdictions to cover the expenses of trainings required to participate in programs, personnel salaries, and transportation costs. 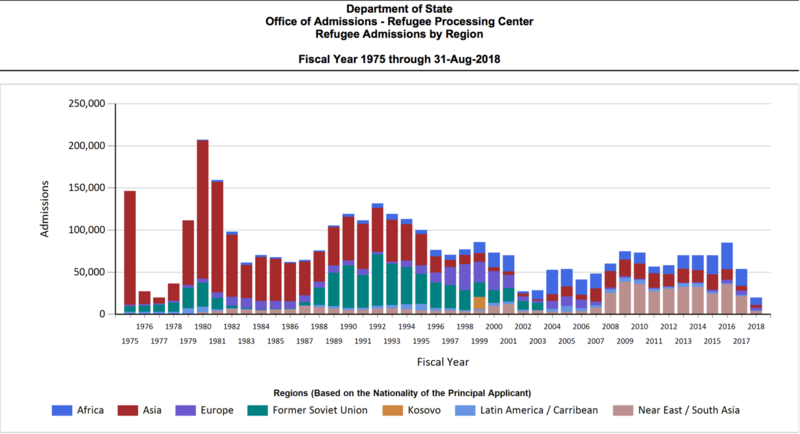 Across the country, states have documented the costs of such an unfunded shift in responsibility to local governments for enforcing federal immigration law. In Texas, the state’s corrections department reported ICE detainers cost local jails roughly $71 million statewide in 2017. Recent reports suggest ICE detainers have an average annual cost of $9 million in Georgia and $13 million in Colorado. Partnering with ICE also has a track record of hurting community relations. As described in the report, the social costs of cooperating with immigration agents translates into community members mistrusting law enforcement and public institutions. It also has significant impacts on community cohesion, civic engagement, and the overall well-being of immigrants and citizens alike. HB 370 has now been sent to the North Carolina Senate and it sits in the Rules Committee, where it could move at any time. For the stability of communities, safe delivery of policing services and overall community success, senators would do well to leave the proposal in committee for the rest of the 2019 session. Lissette Guerrero is an intern with the Budget & Tax Center and Immigrant & Refugee Rights projects of the NC Justice Center.